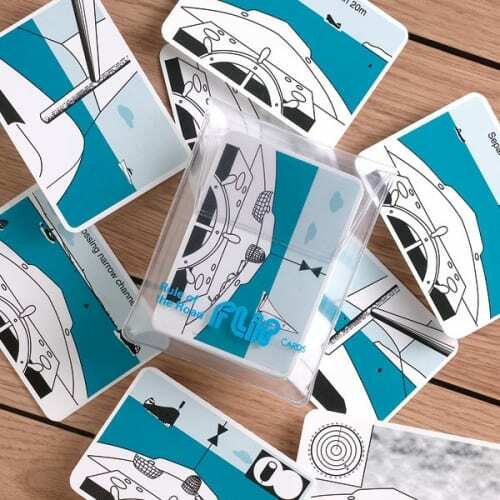 This course is an excellent introduction to new, inexperienced, rusty skippers or crew as a refresher course in navigation and safety awareness. No previous experience is required, this course is perfect for you if you are new to sailing, motor boating, powerboating, sea angling or diving as well as the experienced dinghy and keelboat sailors and inshore small boat owners. The RYA Essential Navigation course pack includes 2 RYA training charts, an RYA Essential Navigation Course Handbook and a RYA electronic course plotter. 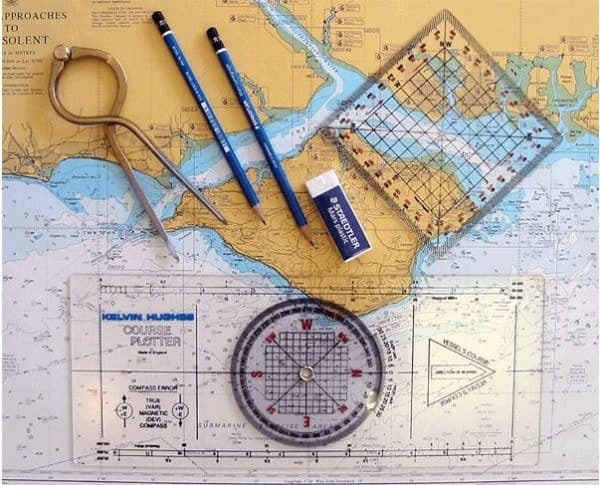 We also include chart equipment in the form of Kelvin Hughes chart work pack ie: Portland Plotter, 7 Inch Brass marine grade dividers, 2B pencils and eraser included in the course price. The aim of the course is to help you become more competent, knowledgeable and safer on the water. 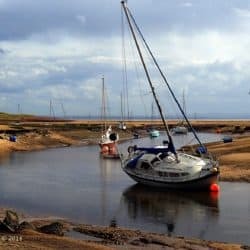 The course will cover basic Navigation and Seamanship at a foundation level that is ideal for leisure Sailors or small boat users that need to be able to Navigate in Inshore coastal waters around the UK. The course is tutor lead and backed up with a workbook that will be completed by the end of the course, some homework may be issued if you miss a session or the tutor feels that you will benefit from some additional learning. Your course progress is assessed on a week by week basis by the course tutor. On successful completion of the course, you will be issued a course completion certification. If you require further course information, please contact us on 01704 571903 or send us an enquiry using the form below. We will also supply you with 2B pencils, an eraser and a notepad. You may find it useful to supply a A4 file for your work. On successful completion of the RYA Essential Navigation and Seamanship Course, you will be awarded a RYA Certificate. 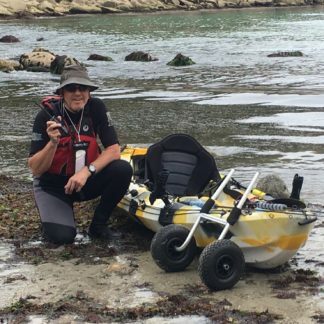 What do I need to bring to the Essential Navigation course on the 1st week? You are not expected to bring anything with you as all the course materials will be supplied for you. Can I pay a course deposit to secure a place on the evening courses? Yes, you can pay a deposit of £40 on enrolling at the booking stage on the website. Do I have to take an exam on the Essential Navigation and Seamanship course? The Essential Navigation and Seamanship course is assessed on your course progress week on week, there are no exams set for this course. I have a learning difficulty and/or a disability, will there be any support put in place for me on the course? When you enrol at Seavoice Training, if you have identified a learning difficulty and/or a disability, the course tutor will contact you to discuss how to support you appropriately. What happens if I am off for a week due to illness etc? If you need to take a week off due to illness etc, we would kindly ask you to email us or call 01704 571903 to let us know.